1982. Merrimack Publishing Corp., New York, N.Y. Their reproduction of "Dollies to Paint, Cutout and Dress". 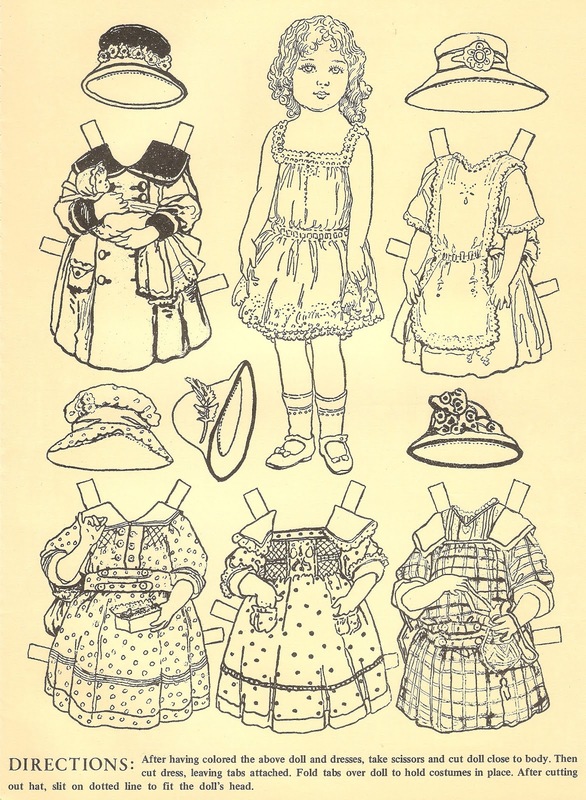 Same dolls and clothing as in the traveling paper dolls. 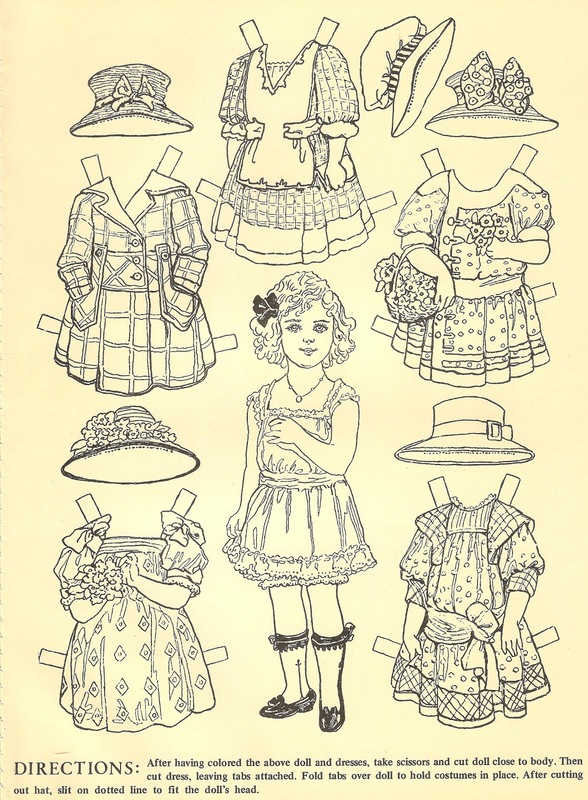 I like the paper dolls from the Merrimack Publishing Corp.